All over the internet people are searching for easy ways to make money and of course gambling and roulette tactics and strategies are obviously high on many people’s radar. For example for my favorite game – roulette, you’ll see thousands of plausible and complicated strategies that apparently will guarantee your success. Throughout this site you’ll find details and explanations of many of these systems – but it’s best to remember none of them guarantee anything at all. The croupier spins the rotor in one direction whilst chucking the ball into the stator which travels in the opposite direction. When first spun the speed means that the centrifugal force presses it against the vertical rim of the stator. But slowly the momentum falls and the ball drops into the sloped part. The ball is in a kind of decaying orbit and it is falling inwards in a spiral trajectory. Within the Stator you can probably make out the small metal shaped dividers which are known as deflectors or vanes. These are normally diamond shaped and have a huge affect on the trajectory of the ball mainly because if their diamond shape. If it hits a vane then ball will career off in a different trajectory, notice though that very often it slips between these and carries on in the same direction. Finally you’ll see the ball, spirals down into the rotor which is spinning in the opposite direction. It is at this point that the ball first encounters the numbered pockets. There are yet more dividers here between the different numbered pockets, these are normally known as frets and these also can radically alter the balls trajectory as it falls in speed. Eventually though the ball will settle in a single pockets and we will have a result. Imagine the huge number of forces and impacts involved in determining it’s final location – the speeds of spin, the ball, the various frets and the huge number of different collisions and angles required to determine it’s trajectory. Taking even a minute to watch and absorb these will make you think twice about dealer tracking. In the next post I will cover some of the efforts of a mathematician called Ed Thorp and his efforts to analyse these forces with a view to producing an infallible roulette system. 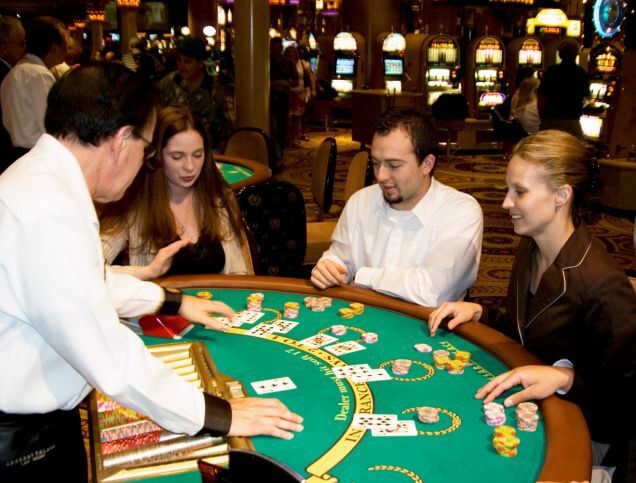 You can find casinos in many places across the world, for instance many top hotels have their very own casino on site. However many people miss out on what is a great evening out, simply because they’re not sure what to do or think they don’t know enough about the rules. So here’s a little starter for anyone thinking about making their first visit to a casino. First of all don’t think casinos are full of Monte Carlo types in black tie playing roulette with the Duchess – they’re not. You’ll find most casinos are full of every type of person from all walks of life. Most casinos now have taken their lead from the all inclusive Las Vegas model which is purely focused on getting as many people through the doors as possible. This has led to much more relaxed rules on entry and the type of games available. If you’re in the UK for instance you used to have to become a member 24 hours before being let in. A rather odd cooling off period presumably, however this isn’t the case any more. It’s best to give the casino a call or check their website if you’re unsure – just check what the entry requirements are. Every casino I’ve ever called to ask for advice has been extremely helpful – they do ‘customer service’ better than almost any sector I’ve seen. Knowing before hand will make you more relaxed especially if it’s your first visit to a casino. A large modern casino can be a bit confusing at first but take your time and relax. Have a walk around and see what games are on hand, if you don’t know a game find a quiet table where the dealer will be able to help you. Obviously don’t try and learn a new game on a busy Saturday night, it’s not fair on the busy dealer who will have enough on his plate. It’s actually easier than ever to learn how to play a new game now because of the internet – here on this site we have many free to play roulette and casino based games. These are perfect for learning the rules before risking real money. All of those are very easy to play and if you spend ten minutes playing I’m sure you’ll pick up the rules. Of course playing in a real casino is a little different than playing online simply down to basic etiquette. when you decide which table and game you want to play, simply take a seat. Don’t hand your money to the dealer, but place it down on the table – he will give you chips based on the minimum bet on that table. Make sure you’re playing at a level your comfortable with – for your first visit I urge you to stick to the low stakes tables. Any special rules or variations will be clearly marked on the table – make sure you read them. There isn’t too much to know about general etiquette that good manners doesn’t cover. First of all be considerate to other players, never offer advice and certainly don’t criticise peoples play. If you win, enjoy yourself, laugh and cheer – its’ supposed to be fun. Casinos like to see people enjoy themselves within reason, just to it without being obnoxious. Similarly if you lose, just accept it – nobody has cheated – it’s simply a game which sometimes you win and sometimes you lose. Never mess with your cards or bets when they’ve been placed. This is especially important with your bet, don’t touch it unless you’ve won and it’s been paid. If you can’t reach a spot on the roulette table for instance simply ask the dealer to place the bet for you. Don’t copy players on games like roulette who shower the table with chips at the very last minute. It’s a sure fire way to lose and lose quickly. Make sure you place any bet carefully so that there’s no confusion. 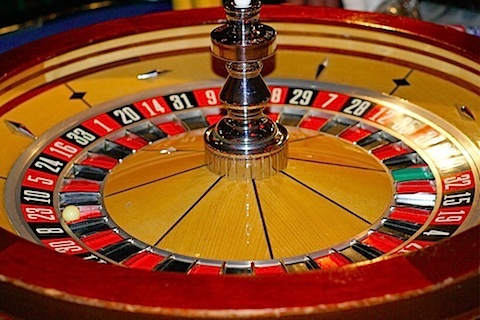 In roulette wait for the dealer to finish paying out before starting to place your bets again, the croupier will remove the little marker on the winning number when it’s time to bet again. You’ll become aware of any other little nuances just by watching your fellow players, any little signals like requesting another card or passing you’ll see just by watching a few spins or hands being played. It really isn’t very intimidating and the dealers should all be happy to help or assist with your questions.